Baby Story time with Ms. Mynique! Wednesday, Apr. 10, 2019, 1 – 1:45 p.m. It is Baby story time at the Douglass-Truth Branch! 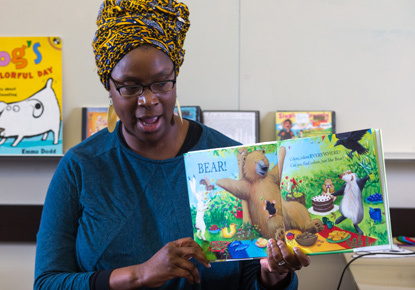 Bring your infants age 0-12 months to enjoy stories, rhymes, songs and fun with our children's librarian, Ms. Mynique. Then stay and play with toys!